Synopsis: Life in the wild teaches us invaluable lessons. Extreme situations force us to seize opportunities, face up to dangers and rely on our instincts. 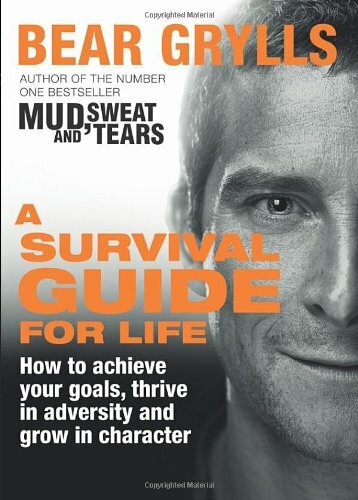 But living a purpose-driven, impactful life can be an even greater challenge...In "A Survival Guide for Life", Bear Grylls shares the hard-earned lessons he's learned from some of the harshest environments on earth. How do you keep going when all the odds are stacked against you? How can you inspire a team to follow you in spite of obvious danger? What are the most important skills to learn if you really want to achieve your maximum potential? Bear's instantly inspiring tales from his adventures in all four corners of the globe include his personal life lessons you will never forget. We're all capable of living life more boldly and of having more fun along the way. Here's to your own great adventure!